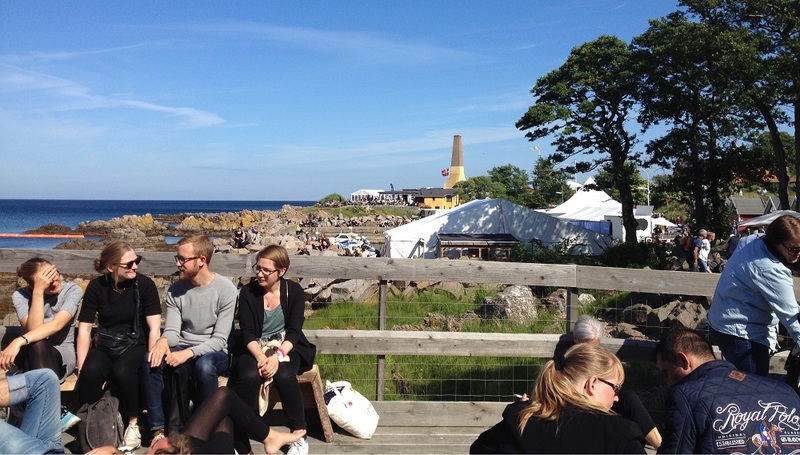 Every year in June, tens of thousands of Danes meet at a political festival on the island Bornholm in the Baltic Sea: Folkemødet – The People’s meeting. Among those many Danes are almost all members of the Danish Parliament, some Danish members of the European Parliament, mayors, and other local politicians, NGO’s, many civil servants from the ministries, and international speakers and guests of many kinds. It has been called the Roskilde Festival of political nerds. That is not entirely wrong. 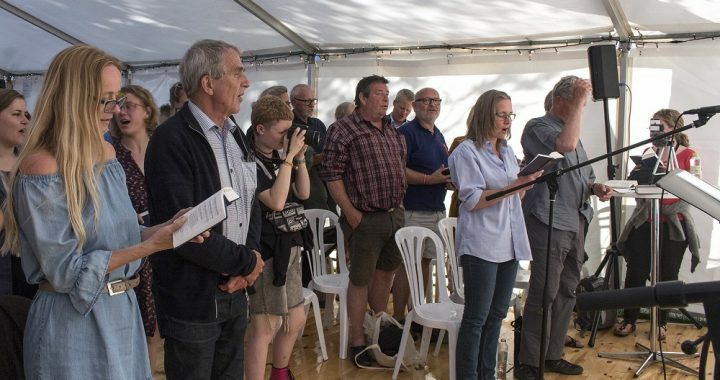 I have participated every year since the Folkemøde started in 2011 and this year I had written six ideological speeches that were performed by Danish actor Lars Bom: a Socialist, a Social Democratic, a Social Liberal, a Liberal/Libertarian, a Conservative, and a fascist speech. Before the political content, we opened with a song. The speeches were performed, commented by Danish politicians and myself and discussed two at the time over the course of three evenings. – The happy man in the blue shirt is Hans Grishauge, the organizer. The first Danish Folkemøde was in 2011; it is based on the Swedish political festival Almedalsveckan, which has been around since 1968. The concept has also been copied in Finland (2006), Norway, (2012), Germany (2013), and Estonia (2014).